It seems each Pixar's best film usually ends up changing as soon as a new one is released; while not without their slumps, the renowned studio has arguably produced some of the most innovative computer animated works to grace the industry, showing how such a genre can be much more than an array of colours to keep kids occupied for 90 minutes. Their latest effort, Coco, already finds itself hailed as one of their finest yet, and this isn't without good reason once again. 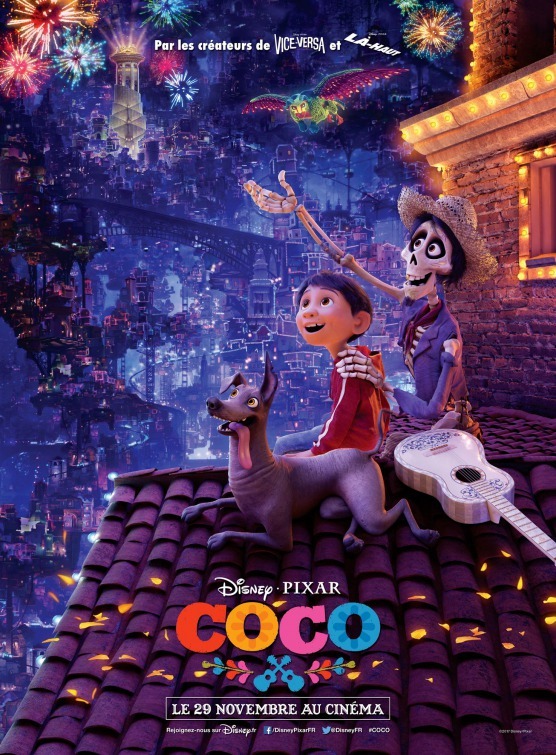 Set during the Mexican holiday Día de Muertos, Coco focuses on aspiring musician Miguel (Anthony Gonzalez), whose bitter family continuously seek to drive him away from his ambitions and focus on his future within their own lifestyle - all of which takes a turn for the worse when Miguel himself finds himself warped into the Land of the Dead as the holiday progresses, meeting mysterious trickster Hector (Gael Garcia Bernal) and left desperate to return home whilst seizing a chance to fulfil his own dreams along the way. It goes without saying Coco looks beautiful - even in their worst efforts Pixar will never fail in terms of visual prowess, yet the technical outcome can be no good without equally good art direction, which Coco also masters in every respect. The visuals are colourful enough for kids without disrespecting the key concept behind them, with the Land of the Dead becoming a perfect blend of visual gags representing pop culture yet also a world full of refined detail and life - more than just a vibrant background for our characters to dwell in. Coco is also a musical in many ways at it's core, and the lineup of songs it does offer are certainly memorable to say the least - Gonzalez finds himself performing many of the film's key numbers and does so beautifully; following the film's conclusion, my key impulse took me straight to the iTunes Store. 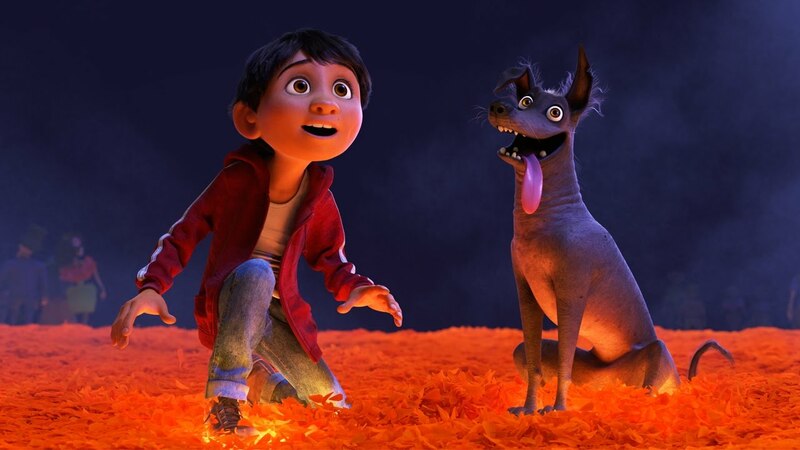 Amazing presentation makes Coco a delight to look at and listen to - but this is also held together by a brave story that explores thought provoking themes without ever reaching excessive stages or resorting to tired clichés. Viewers won't have to do extensive research on the aforementioned Día de Muertos to understand the ideas the film conveys in it's most heavy moments, making it approachable for all without sacrificing the complexity it aims for. This is a story about culture and family, embracing life yet accepting death, and such powerful themes are conveyed well with a lineup of loveable characters, a well drafted script, and superb overall direction - combine this with gorgeous visuals and superb music, and you have a winner of a film through and through, no questions asked.